This website : www.pterostilbene.com is for information purpose only. 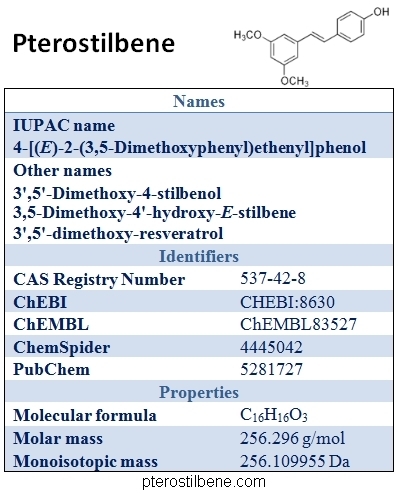 pterostilbene.com makes available to users the free informative content. It is the responsibility of the user to ensure the relevance of the content offered. The user will not hold responsible the publisher of the blog for any use of the information provided. For inquiries or request regarding the operation of the site, you can send an email using our contact form. Headquarters: 2 rue Kellermann – 59100 Roubaix – France .